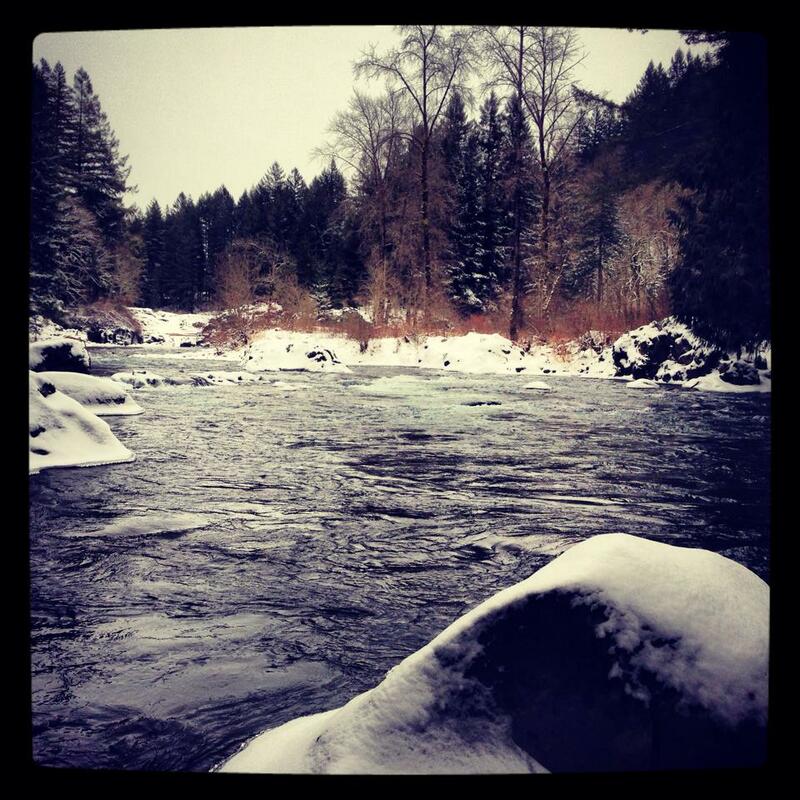 Winter fishing is an amazing but unpredictable time in the great Northwest. The weather can change in a blink of an eye with temperatures dropping below freezing and water levels can change drastically within a couple of hours. Fishing conditions become more and more dangerous as the winter days go by. Being prepared for these conditions will make your next outing much more safe and enjoyable. First things first, you need to wear a good set of thermal layers and warm socks for they keep your body heat in the best. If you are going to be wading make sure you buy a good set of waders, I regrettably know firsthand that buying a cheap set of waders can make a great fishing trip miserable. 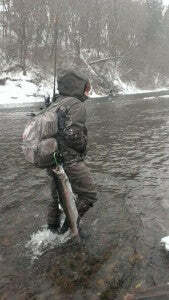 If you are not wading try to have a good warm pair of water proof pants. At last make sure you have a nice durable warm coat that is also water proof. Water conditions will be very dangerous this time of year. Before wading make sure you test the depth and the current of the river. If possible try to use a walking stick for extra support while crossing. One slip could not only ruin a whole fishing trip but put your life in immediate danger. If you are not sure that it is safe then do not do it. Take every precaution possible to make your next fishing trip safe. We all get pumped and let our minds fill with excitement when the fishing is going to get good but we also need to be extra careful out there, especially now. I hope everyone has an awesome winter of fishing and keeps those lines tight!